These two souvenir prints are currently known only from trial proofs without signatures or seals. It is uncertain whether or not they were ever actually published and circulated. Rakusan probably created these designs circa 1947, presumably in anticipation of the Year of the Rat which would have begun in early 1948. 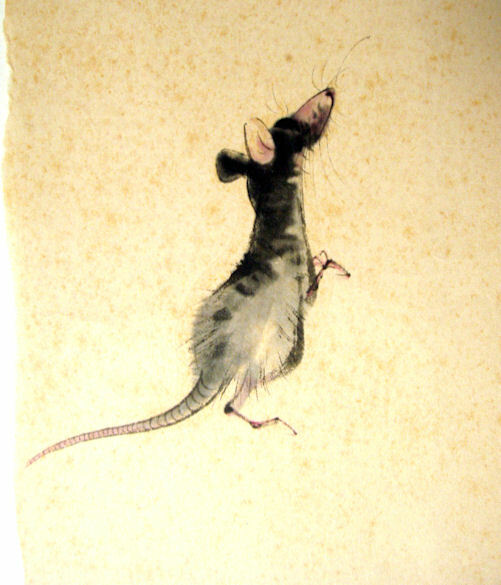 Rat, Rattus sp. (unclear which species is intended). 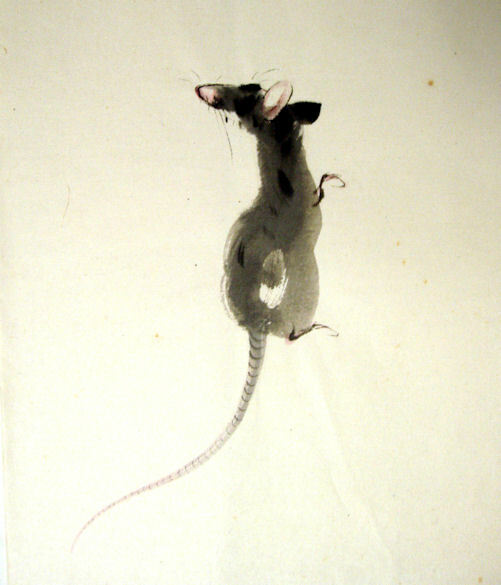 These two designs are the only representations of rats or mice among Rakusan's artworks.